More than 700 fans showed up at Books-A-Million to meet Palin in person. Crane was one of the first to have her book signed. She says it’s a meeting she’ll never forget. Supporter Rosalynn Landes came wearing her Palin pride. Some people made new friends while waiting outside the store, but others decided to dive right into Palin’s book. Landes said she’s clinging on tight to her copy of the book–hoping one day it’ll be the work of a president. SarahPAC, Governor Palin’s political action committee, continues to raise an impressive amount of money as she does the necessary work of supporting conservatives around the nation. These numbers are in addition to the $300,000 that she raised in the first half of October. It’s great that she’s on pace to match her numbers from last quarter during a time that is typically a dead period for PAC fundraising. Her numbers are even more impressive considering that she has pretty much done no fundraising. You can donate to her PAC here. This is a strong showing, and yet another sign that Sarah Palin is a political powerhouse. Time gets the endorsement/win ratio wrong though, as she endorsed ninety-four candidates in local, state, and national races. Sixty-three won. It’s quite remarkable that Sarah only had the need for two fund raising events vs Romney’s nine. Though we’ll have to wait for the reports, it’s known Romney is raising most of his money from big donors, corporate and special interests, while Sarah’s money, for the most part, comes in small amounts of $200 or less. Her new book, America by Heart, was used as a premium to generate funds as well, with donors who sent in $100 getting a signed copy. She did this last year with Going Rogue. This effort tells us that Sarah is poised to make a strong effort should she run for President. It will take an incredible amount of money to compete against Barack Obama. Only two seem capable of this, Sarah and Mitt Romney. Over at HuckPAC, Mike Huckabee’s effort seems to have imploded, and others like Newt Gingrich simply aren’t raising any dollars. This may set us up for the inevitable Palin vs Romney showdown in the primaries, and with all of Romney’s baggage he’s not going to be competitive against Sarah’s record of successful leadership. We expect Sarah to announce her intentions early in 2011. Hundreds showed up for Governor Palin’s book signing in Metairie, Louisiana. Many of them were encouraging her to run for President in 2012. Nancy Adams and her daughter Jolie Taubin of Covington had waited all day Monday to be one of the first people to meet Sarah Palin and shake her hand at a book signing in Metairie. They said the wait was worth it. View full sizeBrett Duke, The Times-PicayuneFormer governor of Alaska and Republican vice presidential candidate Sarah Palin chats with Katelynn Decker, 9, of LaPlace on Monday as Palin signs books at Barnes & Noble in Metairie. “It was an experience you won’t forget,” Adams told her 9-year-old daughter after they met Palin. Adams and Taubin were two of hundreds of people who waited hours to meet Palin on Monday night at a book-signing at Barnes & Noble on Veterans Memorial Boulevard. Palin signed copies of “America by Heart: Reflections on Family, Faith and Flag.” The book hit bookshelves Nov. 23, and Metairie was an early stop on the national tour. Palin will be in Baton Rouge at a Books-a-Million on Tuesday morning. 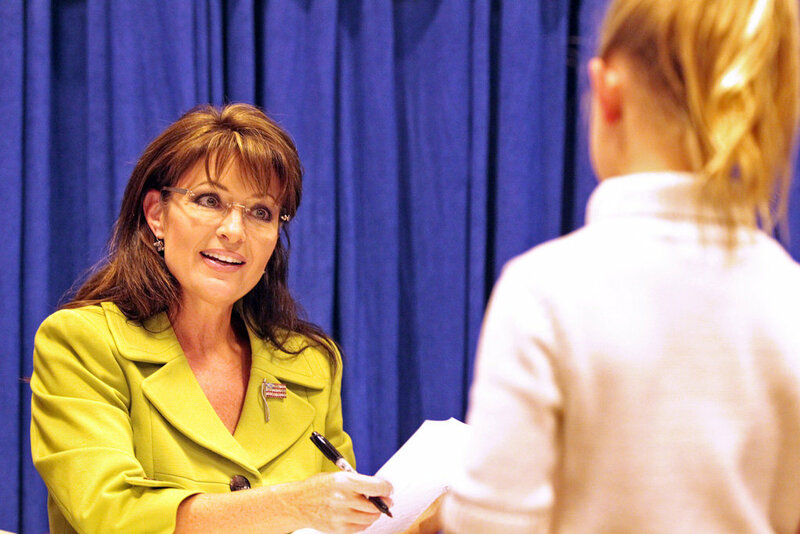 When Palin stepped behind the book-signing table, the excited crowd cheered and broke out in scattered chants of “Run, Sarah, run,” encouraging Palin to run for president in 2012. About 300 people were waiting in line Monday morning for the bookstore’s doors to open so they could buy the book and get a wristband for the signing, said Jennifer Simon, community relations manager for the Metairie store. Bookstore employees wouldn’t release a final count of wristbands given out. Palin smiled widely, shook hands and spoke with everyone as she autographed books. Former Governor of Alaska and Republican vice presidential candidate Sarah Palin signs her new book “America By Heart: Reflections on Family, Faith and Flag,” Monday, November 29, 2010 at the Barnes & Noble in Metairie. Palin was at the bookstore promoting her new book. /* Attendees said they were surprised at how friendly Palin was. “She’s very personable, very charming,” said Gwen Mitchell of Destrehan. “I didn’t expect the personal touch,” said Carole Fernandez of Westwego, who was at the signing with her sister Brenda Fernandez and two of her sister’s grandsons. Palin asked both boys, Austen and Ashten Taylor, for their names, ages and where they go to school. The boys, 12 and 9, respectively, are home-schooled, their grandmother told Palin. Some of the people at the book signing used their short time in front of Palin to try and persuade her to run for president in 2012. “Who better to take care of the soldiers than the mother of a soldier?” asked John B. Wells of Slidell, retired from the Navy after 22 years. Wells had gotten in line early Monday to get a wristband and decided to camp out at the store all day to get an early audience with Palin. Metairie resident Betty Purcell also had been waiting all day to meet Palin, who she praised for being a Christian and a leader. “It’s really neat to be able to touch someone who’s doing what she’s doing,” Purcell said. It was a chance to see the former Alaska governor up close and personal. “Hopefully we’ll get to shake her hand and see her in person, finally after seeing her on television all the time,” said Barry Burns. Palin’s stop at Barnes and Noble in Metairie is part of a national tour to promote her new book “America by Heart,” which focuses on Palin’s beliefs and ideals. “It’s really good, really really really good reading,” said Rachel Hurd. Supporters showed up from all over. Their admiration for Palin was obvious. “I love Sarah Palin. I’m so excited about what she’s doing in our country,” said Betty Purcell. “We think she’s going to be the next president of the United States,” said Daniel Hurd. The line was long. Their wait was too. “We both got here yesterday evening,” said Daniel Hurd. Daniel and Rachel Hurd were first in line. “We didn’t want to get here and have the line wrapped around the building three times,” said Rachel Hurd. Once inside, the line moved like clock work. Each person got a firm hand shake, a smile, and a brief conversation. Lisa Cacioppo says it was well worth the wait. I am sure your public persona as a sincere, affable and considerate person is genuine and reflects the core person beneath the image. Certainly your 2008 run for the presidency was accomplished with dignity. The result you achieved, both electoral and from creating a body of supporters, surprised many and reinforced the respect you are held in. Given the nature of the political cycle, and the vast amounts of money and structures required for a presidential campaign, commencing with the primary run, the 2012 candidates will be forced to announce their intentions shortly-possibly as early as February. You have not given a definitive answer as to whether or not you will run. I understand you have a degree of structure in place and of course you have a loyal following. On the other hand, you advised, when asked about your intentions that you “had a good gig at Fox”, which, being popular and lucrative, might well beat standing outside factories at 6 a.m. in the Winter-not that you wouldn’t hesitate to do that if required. You are a deeply committed and sincere Christian. As part of your faith, which is so deep it led you into the Ministry, you are strongly pro-life. Your Christianity holds and finds you promoting, at the very least and by you example of a lived Christian life, these values in legislation and in moral persuasion. Your conservative principles are central to a strong economy. A low tax environment as the best mechanism to foster growth, a strong armed forces, and the upholding of America’s leading role in the world as an honest broker, friend it those who support us, and a strong supporter of Israel. You are clearly a loving husband and father and dedicated family man. Certainly you, like all such honorable men treasure your family as the core of your heart and strength. And would promote these family values by example and where possible by legislation. With these three essential considerations relating to a possible candidacy one overarching question arises. “If I run and split the the vote between Sarah Palin and myself, who share many if not all of these values so neither of us wins what might be the end result? To answer that question in part here are some recent polls whose results reflect Republican voters preferences in various States. The question then arises, would you be content to see a candidate lead the GOP in 2012 whom the base of the Party clearly do not see as reflecting your values? If you hold to these values, as you clearly do, and believe they are best for America would it not hurt the country you love to have as president someone who might enact policies inimical to your core values? The question further arises-you hold, I believe, shared values with Sarah, why then should it not be you who is the standard bearer and her that should endorse you? With that key question we come to examining the third factor, family, as it relates on a personal level. Because you were not the nominee in 2008 you, and your family, were not subjected to the minute, examination that Sarah was. We saw an endless campaign of sleaze, lies, scurrilous rumors, false stories of affairs, of divorce, her children attacked-even an helpless Downs Syndrome child mercilessly ridiculed. Every aspect of Sarah’s life, her clothes, her accent, her family-everything was grist to the radical lefts mill. Nothing so vile, so untrue, was off limits in the media’s attempt to ensure their chosen candidates election. There is absolutely no reason not to think they will be at it again in 2012. I am sure that you, like Sarah, are made of stern stuff and are able to stand up to such buffeting. But, could your wife and children? It is a deeply personal thing to ask I know, and if it gives offence I apologize, but, frankly, it is no less true for all that. I would not believe for a moment that this would not happen.This attack from the vile Blog “Wonkette” ridiculing you and your family is only the smallest foretaste of what would be to come I am sure. Would not the same apply to Sarah? Frankly so much dirt has been shovelled at her that there is very little, if any, left in the vile hell hole the left has been digging from. If there was anything truly detrimental to her it would have come out well before now. Also, in her case the public is so sick of the media’s attempts to destroy her, the radical left has to tread with caution in case they are seen to engender sympathy for her because of their remorseless attacks. With respect, not only would you and your family be open to personal attack because of your values, but all aspects of your records with be examined with a fine tooth comb. For example the events surrounding the subsequent actions of some of the people whom you pardoned when Governor would be endlessly raised like “Willy Horton” was. Governor Huckabee, I believe that all you hold to be true and dear-faith ,flag and family, can be honored in the forthcoming campaign and, as president, by Sarah Palin. By supporting her you would also have the freedom to express your views to a nationwide audience on Fox and would not have to undergo the long absences from family a long, two year campaign would engender, whilst they would be kept out of the spotlight. I would hope and trust that a most senior role would be available to you in the forthcoming Palin administration, if you so choose to serve, which your talents so richly deserve. I well believe that the future of America may well be in your hands. I believe that this future is best directed (with your assistance) by Sarah Palin, who has superior qualities to the field, and you can make this future, which incorporates your best hopes, possible by your support of her at this crucial time in our history. The “America By Heart” book tour continues today in Baton Rouge, LA and Little Rock, AR. Click here for details. I got a chance to speak with Jedediah Bila from Human Events last week. You can check out her great column about it here. Last May I had the honor of meeting radio show host Hugh Hewitt at an event we both spoke at in Denver. He’s a great patriot, and I’m humbled by his kind words about “America By Heart.” You can read his review here. I mention in “America By Heart” that National Review is one of my favorite magazines, and I used excerpts of articles by a number of NR writers. Among them is Kathryn Jean Lopez, who always has such wonderful insight into cultural issues, particularly in regard to building a culture of life. 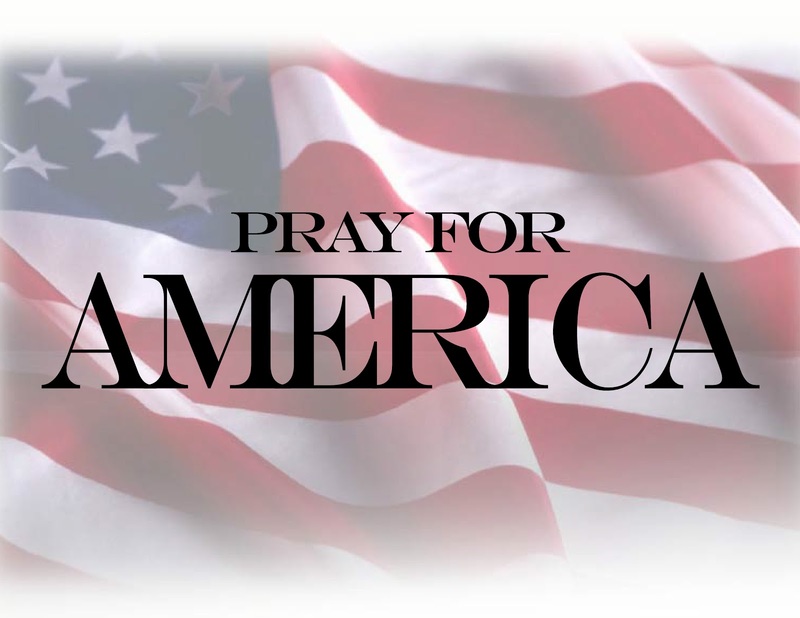 I’m honored by her thoughtful review of “America By Heart” and especially by her including it in the same review with Pope Benedict’s new book. You can read her article here. Fox & Friends interviewed Luigi Zingales, the University of Chicago economist whose work I mentioned in “America By Heart.” You can see the interview here. I look forward to seeing you in Baton Rouge and Little Rock today and signing your books! John McCain, appearing on CNN’s State of the Union Sunday morning was quizzed by the host, Candy Crowley, about all of the recent efforts by Sarah Palin and the media attention she gets. If the Democrats think things are bad now, wait until Sarah Palin grabs them by their bleeding hearts. I haven’t written for a few days, instead spending a little time doing some research as well as taking the pulse of the Ruling Class. Something funny has started to happen. It seems the left wing media has found a whole new respect for Sarah Palin, at least among many. They have obviously realized the past two years worth of vicious 24/7 attacks on the woman and her family have been a bust. Instead of bringing Sarah down, they have destroyed their own credibility and in the process made her stronger. The left wing sees the writing on the wall. Obama and his radical Congress overreached like no other in history. They attempted to take America all of the way to the left in one sitting. The American people are not happy, and on November 2 told Obama and Congress not no, but HELL NO, to this insanity. The American people are fired up, and in it’s present form, the democrat party is finished. What we are seeing is the progression on the left from ridicule, to fighting, to acceptance of the inevitable, that Sarah Palin will likely be our next President. What these writers hope to do is scare Obama and crew back to reality with the knowledge Sarah is coming for them, and will win. What’s just as interesting to me though, is the reaction from the Republican elites in the past few weeks. Showing how out of touch they are, as well as slow to react, they are still at the ridicule stage, and moving towards all out war against Sarah. Of course, since the base of the Republican party has never liked or trusted the establishment, this isn’t exactly earning them, or whatever back bencher candidate they trot out in 2012, any friends. The Ruling Class [in both parties] have a lot to lose when Sarah Palin becomes President. Their power will be gone, hopefully forever, and be given back to it’s rightful owners, the American people. It’s interesting to note the GOP elites actually fear this [and Sarah] as much …. or more …. than the lefties do!